Interesting fact, his first 5 seasons are eerily similar to Iginla (I'm not saying Monahan is going to be like Iginla, their styles are different, positions are different, and the overall style of hockey played in the league is a bit different). But both of these were their first 5 seasons, and both of them entered the league at the same age for the Flames. This is just to say, that they had similar starts to their career here. In all honesty, when I saw that, I was really surprised that he was ahead of Iginla at this point points (and goals) wise. And Iggy really took off his 6th year (when he was 24). Monahan is in his 6th year (and just turned 24), so it'll be interesting to see if the goals/points similarity keeps up for the next couple years. As for most goals in his Draft Class: In 2013 (his draft year) he has most goals (146), and is second in points (299) as of the end of last night. 2009 Draft Class: 5 people ahead of him in goals (Tavares, Duchene, Evander Kane, Ryan O'Reilly, and Kadri), and 8 people ahead of him in points (the 5 goal scorers and Hedman, Brayden Schenn, and Marcus Johansson). Think about that for a minute, if you combined people from his draft year, and the 4 draft years before him, Monahan would still be 20th in points, and 11th in goals. And from the 2011 class on, most the players ahead of him have 50-100+ games on him. He also, will likely pass a few of these guys in goals and points, THIS SEASON. At the same point in their careers Monahan would be ahead of almost all these players. We got someone special, and it's amazing how many people don't realize that (Not necessarily on this forum, but if you go to almost any other Flames forum, Mony is trashed constantly). All that and he is thought of by some as a #2 C. Go figure. Excellent post. But of course there will be those defending their position with "stats arent everything" and "he's too streaky". Looking at centres with at least 82 games since the 14/15 season Monahan is 6 in goals, 13 in points, and 22 in points per game played. There is ZERO question is is a top line C. But the guys ahead of him include Crosby, Malkin, Backstrom, Kuznetsov, Kopitar, etc. Seeing a trend? Love the player. I would love him more if he developed his defensive game and showed us some Bergeron/vintage Toews. Which is what he was forecasted to be when we drafted him. I would say that he's gradually improving his defensive game. The coach recognized where he and Johnny were struggling and took some steps to address it. JH still makes the odd risky pass/play, but he is also going starting to make better defensive reads in the D-zone. Same for Monahan. It's a work in progress. Gully didn't address it. BH didn't care as long as the kids were scoring. Monahan is still clutch. Would like to see him take the streak he's riding and extend it. Since the PITTS debacle, he's been a + player in all but one game. The issue with the Flames isn't specifically Monahan. He is a great offensive C, probably top 20 in the league. You might even make a case he is top 15 due to his goal scoring. Gaudreau is also a great offensive winger. Only Benn, Panarin, Ovechkin, Kucherov, Kane, and Wheeler have had more consistent numbers since 14/15. A few newcomers may jump ahead, but Gaudreau is certainly in the top 10. Giordano is in the top 20 list for D as well. The problem is being top 10 / top 20 isn't enough. Washington and Pittsburgh had (and have) multiple players above Gaudreau/Monahan/Giordano. New threats like Colorado/Edmonton/Toronto have new players that are better then our guys. Old threats like San Jose/Tampa/Boston/Washington have players that are better then our guys. If we are going to be successful we need to be like Nashville. A team with some really great players, but one that plays with an identity, is deep, and is defensively strong. And that starts at the top with Gaudreau and Monahan. If they can play to that identity and be strong defensively then we should be a contender given our depth (though a goalie wouldn't hurt). I agree Monahan/Gaudreau have been better since Pittsburgh. Also, our top line is currently one of the top in the league so hard to knock them early season. But Monahan has a ways to go before he is a Bergeron / Toews. Mony/Johnny have certainly picked it up since Pittsburgh specifically in the d Zone. I'm actually one that believe Monahan is a solid defensive center, he's got all the attributes he just loses his focus there from time to time which is understandable given he's been asked to be the top offensive center on this team from the word go. When he buckles down, he has it and is IMO a very good two way center. I think he just needs that reminder from time to time. I'd still really like to see him get faster and in a position where he can take over a game or start a play and not just be the high end finisher of a play. 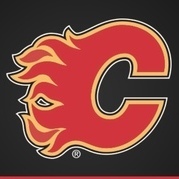 I think the Flames can be very good with Monahan at this level, but if he can find that next level, that I truly think he has the capability of hitting, they would be an an amazing spot. I think you have hit the nail on the head. He doesn't have that zone entry ability that JH and Brodie do. I wouldn't call him a passenger, but he is definitely a finisher first. It's probably why Neal wouldn't fit like a glove there. Lindholm is a playmaker with a great shot. Neal is a finisher. 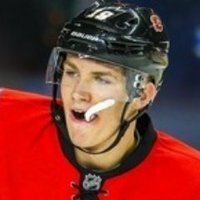 If you could combine some of Bennett's bulldog attributes with Monahan's finishing skill, that would be a formidable player. Probably why many felt that Bennett could become that #1 C here. Finishing is his problem. He's got the other attributes, except maybe playmaking. Regarding Monahan's speed, I would also like to see more attacks on the rush. We see JH get behind the D all the time, but he needs a Draisaitl type to help him finish. In other words, Monahan needs to catch up to the play. One thing I didn’t mind about that Nashville game that was the first (in my mind) solid game. Our goalie played great great because he was seeing the puck. We kept the D up enough to allow shots from spots where the goalie can make saves. I don’t mind a team getting up to 30+ shots. I think the goalie will be more dialed into the game when getting used. i think he had decent numbers in Arizona because he got the shots. He’s horrible when he doesn’t stay warm. Now, I don’t think I want the flames to change much of their game, especially when they’re winning. But we might need a goalie who can succeed under less work within a game, someone who can stay dialed in when we give up less shots. it is possible smith just isn’t right for this system. i like that the top line is getting more defensive. It’ll make the rest of the team concentrate on D as well. We just need everyone to play engaged in the game all the time. I think we have what it takes, it is just going to need more consistency. The thing is though, when Bennett uses his guys, he is a pretty good passer. It’s the using of them that needs to be consistent. The only thing his lines haven’t seem to have done is score. Is that him (yes when he shoots)? If he can get some finish, and the rest of his game will be magnified. He just can’t seem to finish. Hes not not a big threat because he isn’t finishing. If he did, he could use his line mates more and that would make his line tougher to play against. it would make a huge difference for the depth of the team if his line could get the odd goal. 36 of 52 (69%) total goals for so far come from 5 players. I think it's more than just his line that needs to step up. If a team can effectively shut down our top line thats almost half our scoring neutralized. Yup! Exactly. I am not making it sound like it is just Bennett. But saying having another line adding offence is needed. It won’t all happen at once, so let’s go Flames! He's nowhere near the passer of Gaudreau. Even behind Lindholm and Backlund IMHO. He's not consistently hitting the player's stick. I still feel he's not using his linemates effectively enough. I would like to see him go to the net without the puck for a change and focus on creating havoc there and tipping pucks in. It's just a sense I get watching him that he feels he needs to take the puck to the net or shoot the perfect shot. How many times does he shoot over the bar, just inches away from being bar down? And how many times does he try to go through defenders up the middle? I think his game has improved this season, but I think it's still a work in progress on the scoring end. Oh, and Monahan? Has the tools to be great. Become a game breaker and he will be worth (more) gold. Pretty good does not = Gaudreau good lol ? but it I think him not hitting sticks might be more skating himself into trouble and then having to force things. He scored the easiest goal of his career when using his mates and it getting to him on that break in goal a few weeks ago. They should make make one of those old school Hoosiers rules with him. The puck can’t be on his stick for more than 3 seconds at a time and they need to pass it a bunch before a shot is fired. Those without the puck move to rebound... I dunno; I get that he needs to change his mindset. I think we agree. Overall the line is suffering from not being able to finish. Some good chances for sure. Some unlucky breaks for sure. But unluck for me is like Lindholm parked beside the rease, and he shoot into the wide open net, onlyy to be denied by the shaft of a stick. Bennett unlucky is the goal is waved off because the refs don't understand when to blow down a delayed penalty. I would like to see him bury a shot attempt. I wonder how much they practice shooting. I get that they would a lot. But they seem to miss the net a lot, not just Bennett. Last year GG had them play posts and then all they did after that was hit posts it seemed. Regardless of whether he does or not, that should be a player using extra practice to hone their skills. How many putts and practice shots does a guy like Tiger Woods take in the days up to a tournament?